Isaac Newton is well known as one of the greatest scientists who ever lived. Less well known is his deep belief in God and his conviction that scientific investigation leads to a greater knowledge of God the Creator of the universe. Sir Isaac Newton, (1642-1727) was a English physicist and mathematician, who discovered the law of gravity, created calculus, discovered that white light is composed of many colours, and developed the three standard laws of motion still in use today. Sir Isaac Newton, (born December 25, 1642 [January 4, 1643, New Style], Woolsthorpe, Lincolnshire, England—died March 20 [March 31], 1727, London), English physicist and mathematician, who was the culminating figure of the scientific revolution of the 17th century. In optics, his discovery of the composition of white light integrated the phenomena of colours into the science of light and laid the foundation for modern physical optics. In mechanics, his three laws ofmotion, the basic principles of modern physics, resulted in the formulation of the law of universal gravitation. In mathematics, he was the original discoverer of the infinitesimal calculus. Newton’s Philosophiae Naturalis Principia Mathematica (Mathematical Principles of Natural Philosophy), 1687, was one of the most important single works in the history of modern science. His father died before he was born and mother remarried leaving him in the care of his grandmother. At the age of fourteen Newton was forced to leave school to help his mother with farming. Isaac spent much of his time on the farm reading and ended up returning to school. At the bidding of an uncle, Newton began furthering his education in June of 1661, when he entered Trinity College, Cambridge. He set out to get a degree in law and this limited his field of study was very during his first few years of college. However, by the third year he was allowed more freedom to pursue other interests. During this time he was able to study new mathematical and scientific methods from such scientists and mathematicians as Galileo, and Wallis. 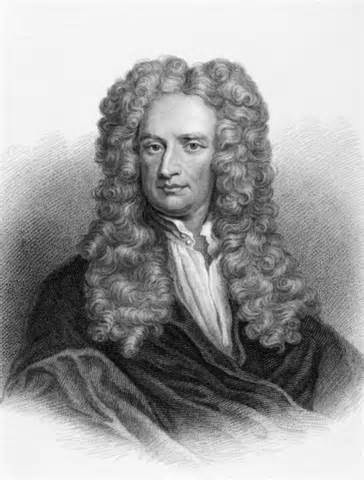 Newton graduated from Cambridge in 1665, without any particular honors. Isaac then went to Trinity College at Cambridge University with the intention of becoming a Church of England minister. Again, life was not easy for him. As he was unable to afford the tuition fees, he worked many hours each day serving meals and doing other jobs for the professors in order to pay his way. Isaac’s knowledge of the Bible continued to impress those around him. At that time the ideas of the ancient Greek scholars still dominated what was taught in science, and recent scientific discoveries were largely ignored. This greatly annoyed Isaac Newton who firmly believed that ideas in science should be tested and only accepted if their usefulness could be demonstrated. He was committed to the experimental method of science. Newton was very sensitive to negative comments and had to be convinced by another scientist Edmond Halley to publish his findings. After his book Principia Mathematica in which his various discoveries and ideas were presented, Newton enjoyed success in other realms. He became a member of the British Parliament and was a member of various mathematical organizations such as the Royal Society council to which he was later elected president. He died on March 31, 1727 in London. Newton had many interesting characteristics such as his study alchemy. Which is a blend of chemistry, magic and religion. Achlemists' goal was to find a way to produce gold out of different metals and also to find a magic potion which could cure ills and increase ones life. Isaac was modest, and generous to his family and those who helped him along the way. Some of Newton's discoveries were later refuted by Albert Einstein in reference to his theories of gravitational pull. However, Einstein and others still contend that Newton was indeed a very important force in man's quest for knowledge and is highly regarded for his contributions in many different areas of science. Newton applied his binomial theorem to infinite series and from there developed calculus, a revolutionary new form of mathematics. For the first time it was possible to accurately calculate the area inside a shape with curved sides, and to calculate the rate of change of one physical quantity with respect to another. A similar system of mathematics was developed by German mathematician Gottfried Leibniz. For a long time there was great confusion, with each being accused of stealing the other’s work. It was a distressing time for both. Many years later, it was established that each had developed calculus independently at roughly the same time. Neither was a cheat. In Newton’s day, many people were superstitious or afraid of what they could not understand—such as the appearance of a comet, which was considered a sign of coming disaster. Even scientists generally considered the motion of planets and the motion of bodies on the earth as separate problems. In contrast, Newton reasoned that since the same God created the heavens as well as the earth, the same laws should apply throughout. In 1684, Newton again began to consider gravity. He developed his theory of universal gravitation, which used what is known as the inverse square law. He developed his three laws of motion (movement) and proved mathematically that the same laws did, in fact, apply both to the heavens and the earth. His faith had focused his thoughts in the right direction.